2 My impression – Blank & Badass! I want to share with you with the BEST keyboard I ever had. The “Das Keyboard 4 Ultimate“. Over the last couple of years, I have joined the mechanical keyboards movement and never looked back again. The first mechanical Keyboard I had ever bought was the Corsair K70 (cherry mx brown). It was (and still is) a great Keyboard overall. 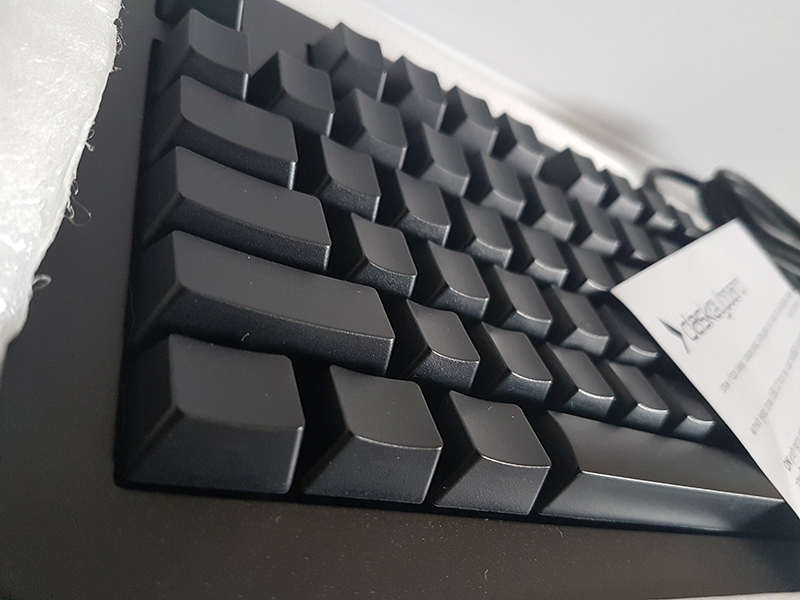 I was so in love with using a mechanical keyboard (and cherry mx) that I bought two others, the Duckyshine 6 (cherry mx red) and the Das Keyboard 4 Ultimate (cherry mx blue). 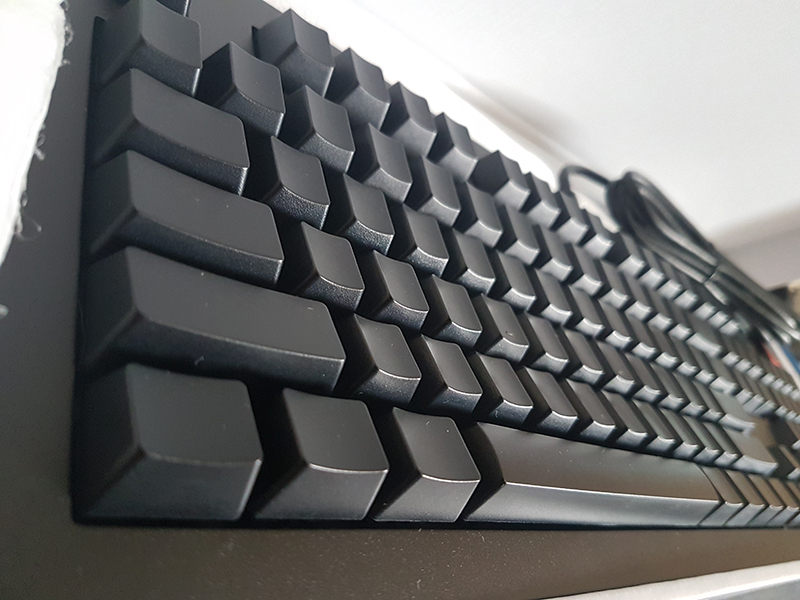 While Corsair K70 and the Duckyshine 6 are GREAT keyboards (If Das would not exist – I would probably use the Duckshine 6 – It’s also an amazing keyboard), I want to share with you my experience with the Das Keyboard 4 Ultimate. I found out it’s the BEST keyboard I have worked with. It’s my main Keyboard and the only one I am using daily at work (and gaming). At first, I was afraid trying out a completely BLANK keyboard. never tried one before. (actually never saw one before). I was’t sure I’ll ever get used to it and the price tag was too high in order to throw it away. But nonetheless – I’ve decided to try it out. Das called it “Badass“, “A Work of art” and “Only for the best“. I HAD to try it out. My impression – Blank & Badass! I am working with the Das for almost a year now. Can’t recommend it enough. was worth EVERY dollar I spent on it!!. Took me only a few minutes to adjust to the blank keys. I found out I don’t really need the key caps inscriptions. The build quality of the Das Keyboard is AMAZING! the Keycaps feels great. The Volume knob is the most enjoyable and useful volume knob I ever used, not to mention the USB port and the USEFUL footbar – ruler. I had used it couple of times. I am a heavy Cola & Coffee drinker, usually while working. Every keyboard I had suffered at some point of time a full mug of drink pouring onto it. When the Corsair had its share of Cola – The computer freeze immediately. all the keyboard LEDs were blinking like crazy. only after a cleanup and a few days of drying out I could work with it again. It was never the same again. Until this day some LED’s are obscure and the “.” (Dot) key in the NumPad never worked again. I know I can’t blame the Keyboard and can only blame myself, but when Coke spilled out onto my Das keyboard I was so sad and mad on myself. For my surprise nothing happened and it just worked! I cleaned-up the keys from the stickiness and never had any issue with the keyboard since. This keyboard is built to last. The Cherry MX Blue switches are my favorite. Altough I enjoyed the Brown and the Red. The “clicky” feeling of the Blue switches are uncomparable for me. Did I say it’s an amazing Keyboard? I only wish they had the same keyboard with RGB LED’s. even if it’s funny – as you don’t really need the lights to see the completely blank keys. I will still probably buy it.. just for the atmosphere in the room while I am working at night. This entry was posted in Reviews on January 26, 2019 by Etay Cohen-Solal.